For those of you up to the task of secting your favorite pictures of your bus mid-adventure, then maybe this is the deal for you. 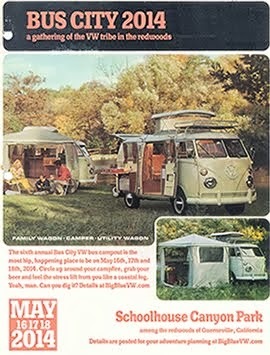 GoWesty is sponsoring a user-generated VW calendar. And you could have your bus pictured for all the world to see (at least the few hundred who buy the calendar). I thought about not posting this here, keeping the odds better to get a picture of Big Blue included in next year's calendar, but Big Blue is an ugly beast, and high-quality photography only makes that more obvious. I have last years calendar and have enjoyed seeing the buses through out the months. Currently, I am enjoying 22 working days of Ludwig (see above). And in the past, have been jealous of the picture of Marc and Eliana's ride, Valentina. We would like to invite you to enter our second annual calendar contest! 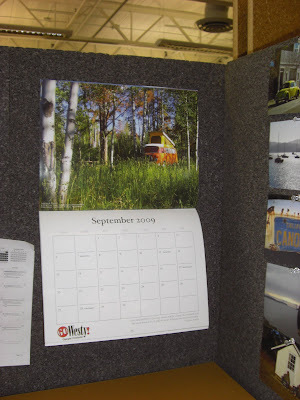 GoWesty is seeking 12 scenic camper photos for our 2010 calendar, which will be available for purchase through our website in November of this year. This is your chance to showcase your photography skills and your beloved camper! Anyone may enter the contest; however, preference will be given to GoWesty customers. The final 12 photos will be selected based on the voting result of the entire GoWesty crew. Winners will receive a free copy of the calendar as well as a $25 promotional code redeemable with any GoWesty website order. But the best part, of course, is the fame and glory that comes from having your photo chosen and published! -Photos must be a minimum of 300 DPI. -Photos must be a minimum of 11.5" long x 9" wide (horizontal format). Photos that don't meet these requirements will not qualify for voting as they will not be suitable for printing. 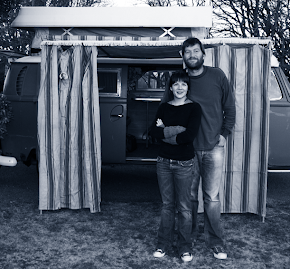 -Photos must contain a VW Bus, Vanagon or Eurovan. -Photos must be taken in an outdoor setting—the more scenic the better! -Photos must not contain pets or persons, unless they are barely visible or silhouetted, etc. -Entries are limited to two per entry/person, so make 'em count! 1. Your contact information (name, email, phone number). 2. Name of the photographer. 3. Year and model of the vehicles(s). 4. Location the photo was taken. Hopefully Big Blue can make the cut. Certainly you guys are good enough photogs that you can creatively frame a photo to de-emphasize those parts of BB that are heavy on, how shall we say, patina?